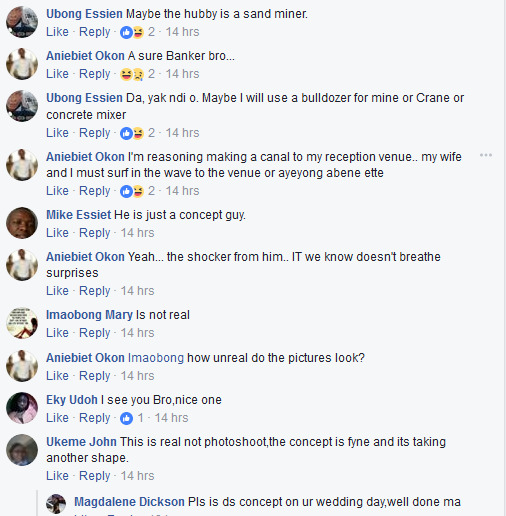 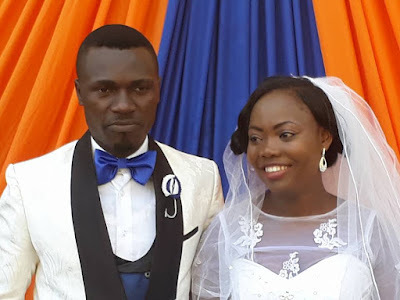 A man who is said to be a banker decided to be unique with his own wedding concept. 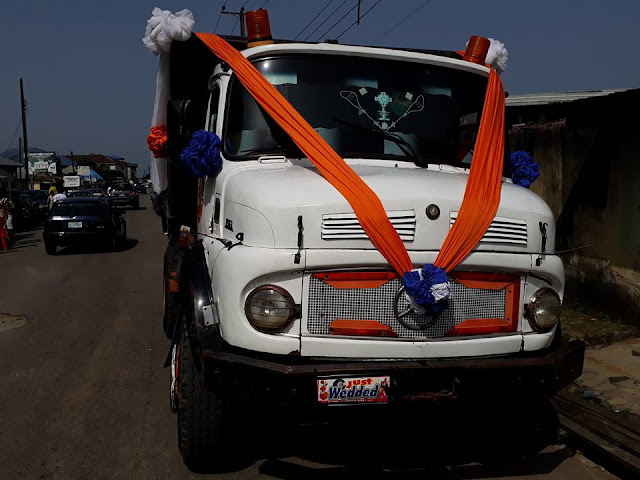 The newly wed couple had to carry out their parade publicly in a tipper truck after their wedding ceremony in Uyo, Akwa Ibom state capital. 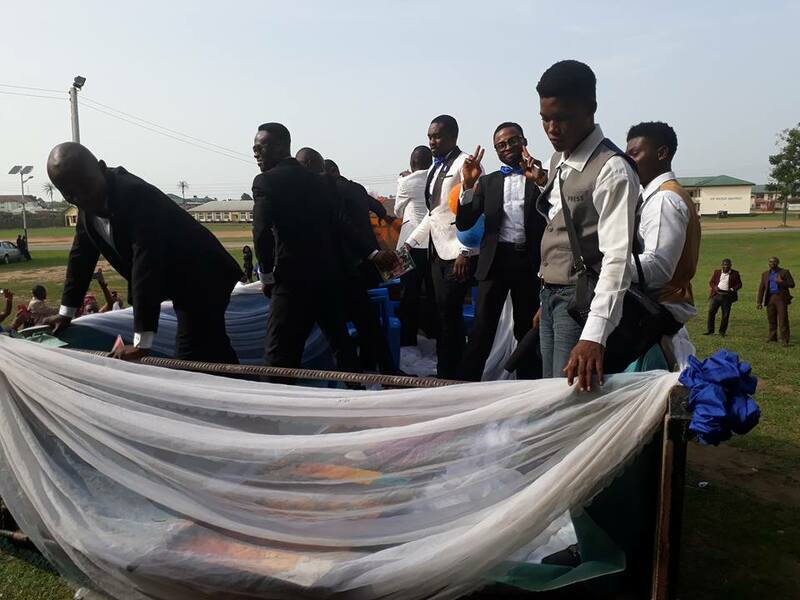 This reportedly happened over the weekend in Uyo.